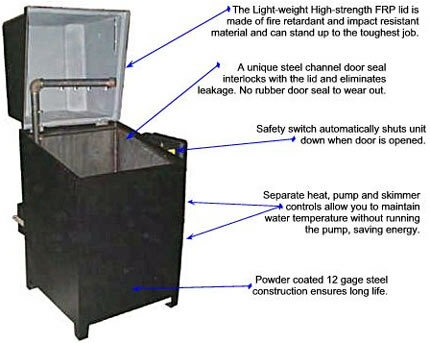 The Light-weight High-strength impact resistant FRP lid. Mechanical lid seal. No rubber seal to wear out. THE TLW LINE OF TOP-LOADING WASHERS PROVIDES AN ENVIRONMENTALLY FRIENDLY ECONOMICAL METHOD OF CLEANING SMALL PARTS WHILE REMAINING AFFORDABLE. 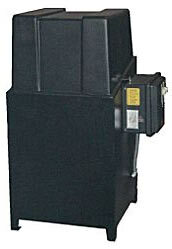 THESE UNITS ARE IDEAL FOR AUTOMOTIVE SHOPS AND BATCH CLEANING OF MACHINED PIECES AND PARTS.